Please review our terms and conditions before booking your training and jump or before purchasing flight tickets. 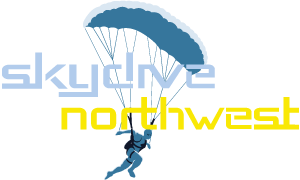 If you make a booking or perform any other transaction with NWPC Ltd (Skydive North West) either directly or through an agent, you will be deemed to have accepted these terms and conditions and they form the basis of your contract with NWPC Ltd (Skydive Northwest). A booking, once made is final and all deposits/payments are NON Refundable. Balance of payment is due on or before the day of the course. You will not be allowed to change the date with less than 14days notice and a £50.00 admin fee will be charged for changing the date once agreed. Anyone failing to turn up on the day of their booking will lose the value of the deposit paid. The centre reserves the right to cancel and / or re-arrange any pre booked course subject to minimum numbers not being attained, aircraft maintenance or staff shortages or for any other reason. You must comply with the Centre’s rules for your own safety. Suitability of any person jumping will be made by the Chief Instructor at the centre and being accepted for training does not entitle you to jump from an aircraft if we deem you to be unfit or in any way unsuitable. If taking part in RAPS or AFF training please study the height/weight chart on your medical declaration form, as persons unfit or over weight relative to their height cannot be accepted for training. If bad weather prevents you jumping. You will be offered a new date to try and jump which is mutually convenient. It will be up to you to return to the centre on another occasion or occasions to complete your jump. In case of bad weather, there is no refund on payments received you will be rebooked at no additional cost. If you arrive without paperwork in order, i.e. over the weight limit, or declaration of fitness not stamped, you will not be allowed to jump and the you may forfeit your activity and all monies paid. No alcohol must be consumed before or while training or before skydiving. If booking as a group and some of the group don’t turn up on the day, deposits are not transfer- able and the non group price will be charged. If you fail to turn up on the day of your course you will still be liable for the balance of payment. Any person attending to undertake any training course and subsequent jump must become a member of the British Parachute Association (BPA). The membership is for 12 months and provides legal liability cover for Third Party Risks Only and provides no cover for personal accident, injury or death. Once purchased membership is of the BPA is non-refundable and non transferable. Prices, offers, terms and conditions and any promotions may be withdrawn or changed at any time without notice.